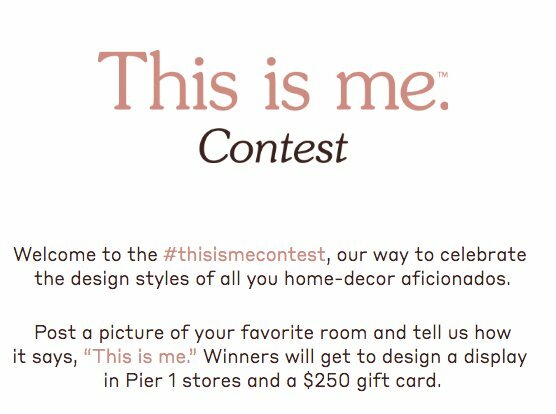 100 will win a $250.00 Pier 1 Gift gift card and opportunity to create a display in a Pier 1 Imports retail store. Submissions are open from 8/13 through 9/2. $250 Pier 1 Gift gift card and opportunity to create a display in a Pier 1 Imports retail store.